Metallics are here to stay for 2018 weddings , but instead of gold, brass and rose gold, which have been popular for the past few years, couples are bringing silver and chrome into the mix for 2018 wedding trends. When deciding on your floral décor, couples are keeping their guest tables simple and focusing more on ceiling treatments. For an understated centerpiece, for 2018 wedding reception tables is a small cluster of vases with just one or two types of flowers, or candles and greenery. 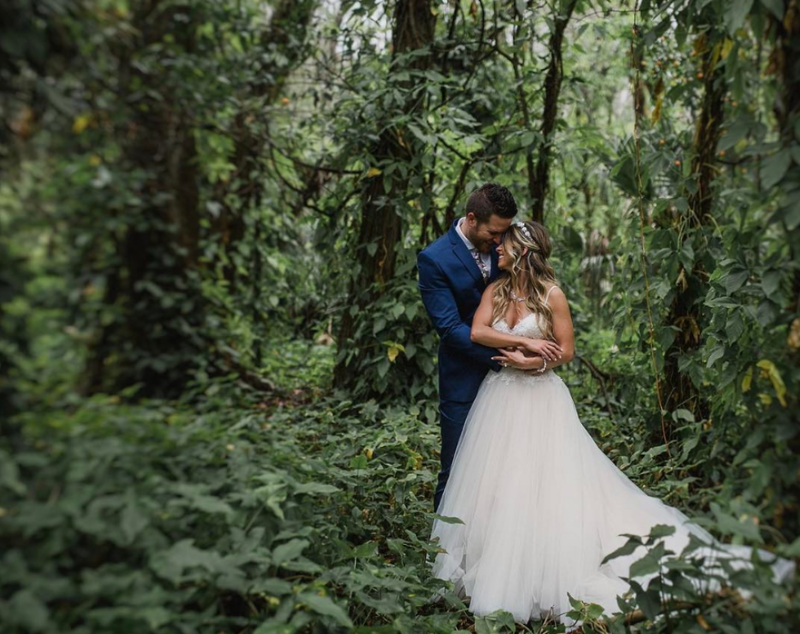 For 2018 wedding trends, it's very much about creating an incredible experience for guests. Couples are incorporating interactive elements into their wedding to entertain their guests with creative food ideas, music, and photo booths. As we have seen at Bakers Ranch, the Photo Booth Concept is not going away. Our in-house open photobooth with a silver or gold backdrop is getting more popular as "wedding favors" and "guest book" options for upcoming weddings in 2018. At Bakers Ranch we have been hearing more and more from our couples is how important food is to them. On our All Inclusive menu for 2018, we have a lot of options for interactive appetizer stations, Family style dinners, and creative desserts. 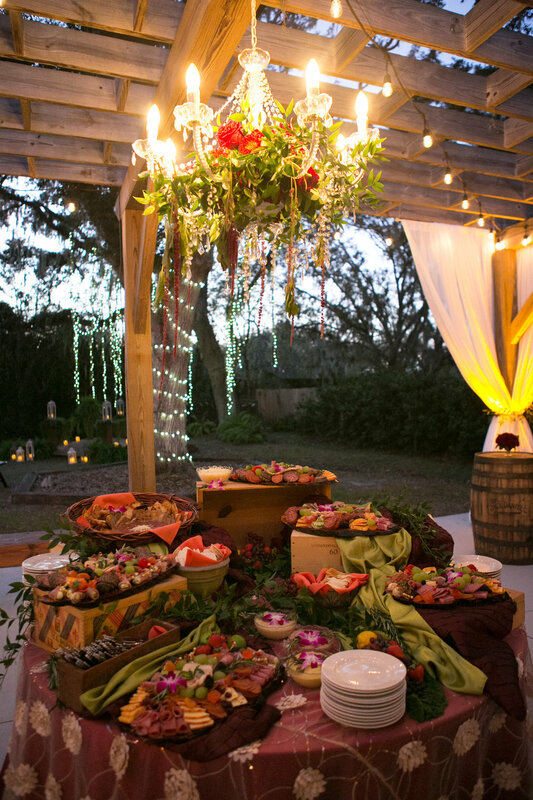 Brides who want a rustic look and feel will start steering away from the barn look to a more “woodsy” look. This includes a lot of greenery in the florals and green as the wedding’s main color. As we can see at Bakers Ranch weddings for 2018, brides are moving away from burlap and we see more wooden details. 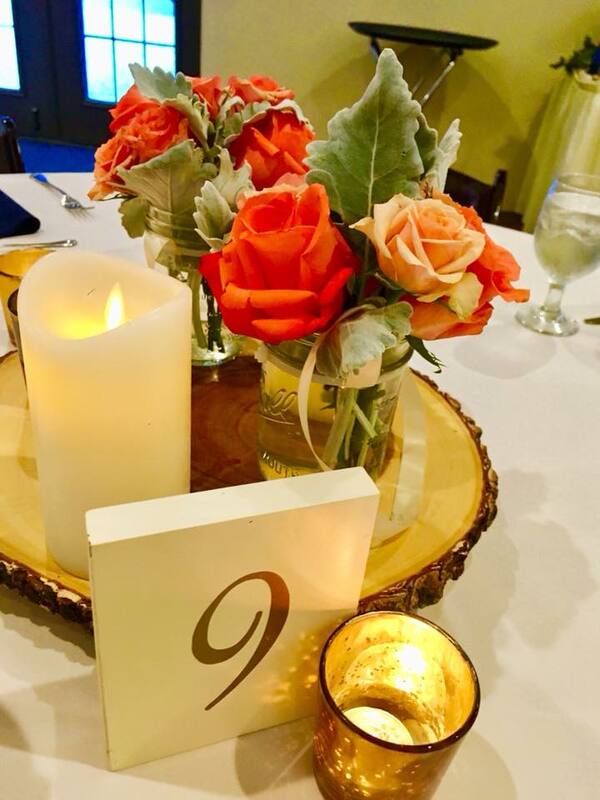 Wooden details can include the invitation, table numbers, seating cards, tags, chargers, signage, centerpieces, ceremony site accents, chairs, and tables.